Alan Perlman was born in New York City in 1952. Falling in love with the guitar after attending performances by Segovia, Julian Bream and Sabicas, he became entranced by the guitar’s possibilities. He began an apprenticeship as a teenager with the New England luthier Clark Voorhees. 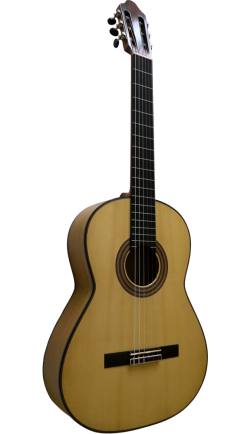 Another influence, the luthier Abraham Wechter, led to Alan’s interest in a broad range of guitar styles, like his 13 string guitar modeled after the guitar Wechter made for John McClaughlin. Perlman’s 11-string guitars and his 19-string baroque and classical-style harp guitars are also popular. His repair and restoration work on vintage instruments is much in demand. 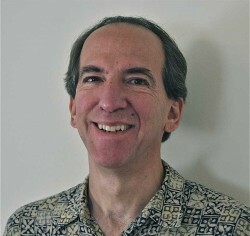 Perlman serves on the Advisory Committee of HGF. 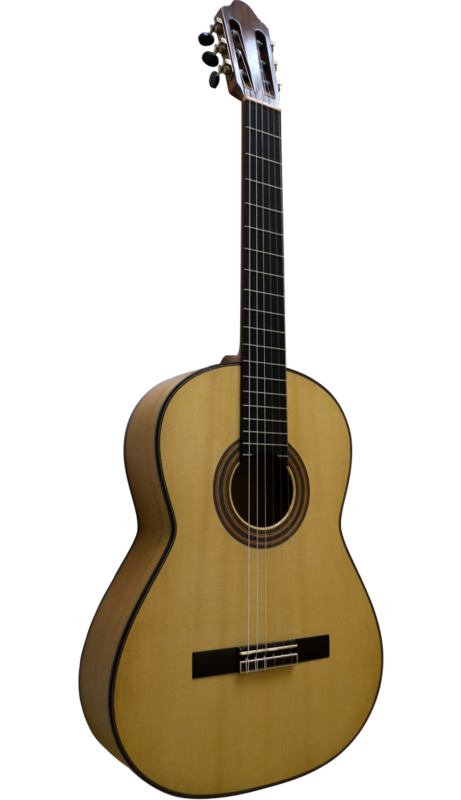 Perlman’s classical guitars fall within the Torres/Hauser lineage. This guitar, built in 2011, is modeled after an instrument that was made for Julian Bream in 1973 by José Romanillos. The internal construction is faithful to the original with a minor change to the bracing in the upper bout that both minimizes the chance of cracks and, Perlman believes, is advantageous to the higher harmonics in the upper treble range. The soundboard is Master grade European spruce from the mountains of Switzerland. The back and sides are made of Ceylon satinwood, which is very rare. Perlman was fortunate to find an available supply that had been purchased in 1980. A small percentage of the wood was suitable for guitars and Perlman acquired it. 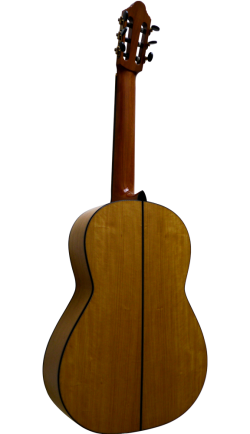 The initial idea to use satinwood came from seeing the 1929 Simplicio guitar in the Harris Guitar Collection, which Perlman subsequently had in his shop for repairs.